Join us at Baileys Warming House from 11am-noon as Rumriver Art Center leads Winter Carnival guests through a mixed media art project! 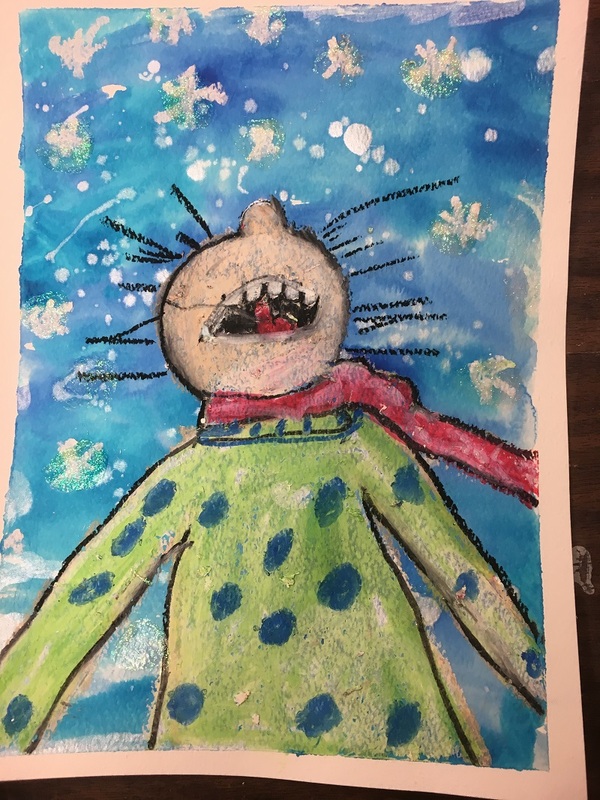 Participants will choose between designing a portrait of a person or pet catching snowflakes while using pencils, sharpies, and oil pastels with a covering of water color. This is a FREE project for all ages and experience levels! Catch a glimpse of the final product below! 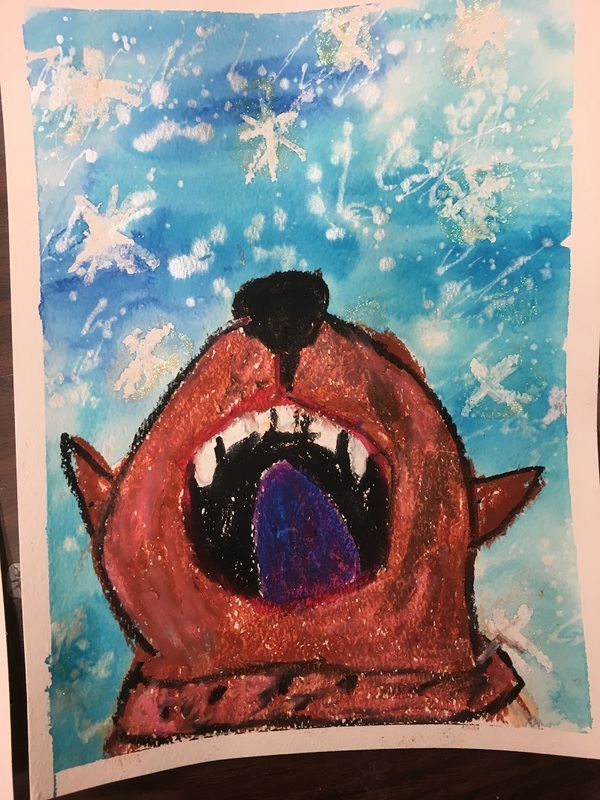 The Rumriver Art Center is a 501(C)(3) non-profit organization making a difference through art by being a welcoming and inspiring environment for artists of all ages to explore their creative potential through our classes, collaborations, and partnerships with like-minded individuals in the North Metro. For more information on Rumriver Art Center click here.